Any reviewer will tell you that authors are our celebrities. For me, it’s authors and politicians. With a few exceptions, which includes Leonardo DiCaprio, Robert DeNiro, the Torkelson kid, and James Blunt, famous people don’t get me too excited (I’ve met two of them so far). For example, Iron Man 3 was filmed literally half of a block from my work and I didn’t have motivation to watch them film it (I did venture out for We’re the Millers, though). So when I moved to Denver, home of the famed Tattered Cover, I was like a kid in a candy store. I was finally living in a place where authors came for signings and I was over the moon at the prospect of meeting them. 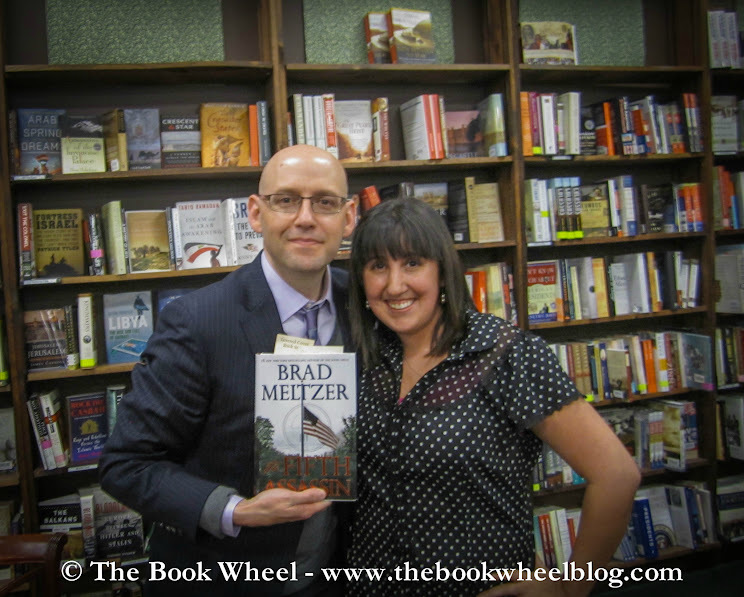 So imagine my surprise when, as I started looking back at my first year in Denver, I realized that my best author memories have little to do with signings. Instead, my favorite author memories come from the relationships I’ve been able to build with various authors over the past year. I’m sure I put more stock into our “relationship” than some of them do, but what’s so great about these authors is that they always make me feel like my blog, my review, and my opinion matters. So, I wanted to give a little shout out to some of my favorite author-people (I say author-people because they are great people on top of writing great books). I really hope that ALL OF THEM are at Book Expo of America in NYC this year so that I can hug them all. Click their name for their author sites -or- click the title for my review and purchase options. I don’t know how I will ever be able to repay Bill for his kindness and support, but I will be recommending his book until the day that I die. Not only did he excerpt my review on Goodreads and the NY Times Book Review (twice! ), but he’s been generous with his time and books by offering multiple giveaways of signed copies of his book (hint: there’s another one coming up soon!). What’s great about Regina is that she’s a woman in public policy, which means I admire her not only for her ability to overcome the obstacles she faces in life, but because she’s someone to look up to in my field of study. And, she let me interview her about both her book and her career, which is pretty great because she didn’t have to let me ask such personal questions. Stephanie is one of my favorite authors in social media because she’s so responsive and encouraging. Not only that, but she helped promote my website when I reviewed her book and remembered me when I won a signed copy of her book. Joshua is kind, supportive, and encouraging, which is all any book reviewer wants from an author. And, he truly appreciates us bloggers, which is why we do what we do. Brad is, hands-down, my favorite big-time author. Not only does he remember everyone and everything, but he goes out of his way to make you feel like you matter. He’s one of the ones I’m pretty sure I put more stock into our relationship than he does, but no matter how big he gets or how buys he is, he always finds a way to make me feel special (which is why I always buy his books in Hardcover instead of being cheap and buying the e-book). He’s also provided me a book to giveaway as part of his Acts of Kindness initiative, so check him out. Simon is perhaps best known for his work as a neuroscientist and his research into the biological basis of homosexuality, but he’s also written twelve books. To be honest, it was a little daunting even sending him my positive review in the first place because he is one of those people who has actually changed the face of science. But, he’s incredibly receptive and supportive and I can’t wait to read his new book (which came in the mail this week). please let them know that you heard about them here! 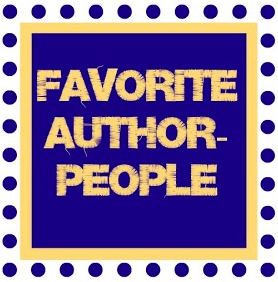 Who are your favorite author-people?